Today, 8th March, marks the International Women’s Day. On this day, world celebrate the social, economic, cultural and political achievement of women. Women are making increased impact in every field, changing it for better. We salute all the women in the world. Modern day women juggle multiple hats. The apps which we are going to list in this article can help women plan better, keep themselves healthy. manage time or business better, etc. The list isn’t exhaustive (after-all there are millions of apps available). But these are must have apps. If you have more to suggest, please add them in comments below. Companion is a revolutionary app designed for safety, and is developed by students at the University of Michigan. This app allows you enter your destination and then select contacts to be your “companions” and they can follow your route home via a live map. It tries to guess the distress, like if you start running, your phone falls to the ground, or you don’t make it to your destination on time, you’ll get a message asking if everything is OK — if you don’t respond in 15 seconds, the app alerts your companions. This app also includes features to call police or give a heads up about unsafe conditions — therefore making it the ultimate app for avoiding uneasiness when walking home alone. Yoga has been proven to be good for mental and physical health, and it keeps you super fit. Women (or anyone) can and should practice yoga on a daily basis to stay fit. This app features 50+ yoga sessions, 500+ yoga poses, 18 background music as well as HD Videos and live voice instructions. App gives option select any daily yoga program: for hips, back, abs, legs, waist etc. Women will also find yoga poses to help them through the red week. When it comes to yoga, the Daily Yoga app can become your go-to guide. Worldwide, breast cancer is the leading type of cancer in women, accounting for 25% of all cases. In 2012 it resulted in 1.68 million cases and 522,000 deaths. The best way to fight breast cancer is to have a plan that helps you detect the disease in its early stages. 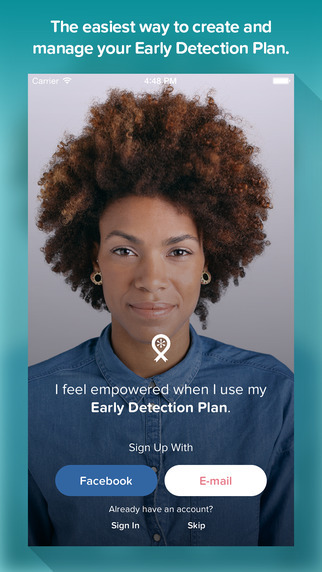 This app by The National Breast Cancer Foundation, Early Detection Plan (EDP) enables you to be proactive about your health by reminding you to perform routine breast self-exams and to schedule clinical breast exams and mammograms, depending on your age and health history. All those working women who wish to organize all work in a better way would find that Evernote is just the perfect solution for it. It is an app that let you create corporate plans quite easily. But that is not all, it allows users to save important data such as screenshots, images and notes which are always required by a corporate individual. It also features great data saving ability, and can turn out to be the biggest platform for creating presentations on the go. Stress, anxiety and depression wreak havoc on women’s health. Though it is not always possible to avoid stress but its level can be reduced significantly. This app features guided breathing and meditation exercises, along with calming music that help to relax the mind and body. User of app will learn how to practice deep breathing that boasts a great number of health benefits. When stress levels are controlled, it reduces the risk of getting some serious diseases including chronic depression, insomnia, heart disease and cancer.